Lincoln Correctional Facility, an element in the state prison system, is on the edge of Central Park. It’s understandable: Nobody wants a jail as a neighbor. But as part of the plan to close Rikers Island, it looks like some Bronx residents are going to get one. In February Mayor de Blasio and the City Council moved forward with an agreement to transition to borough-based jails in order to close Rikers. As part of this agreement, the city plans to re-open a jail in Queens and build a new one in the Bronx. The Queens plan has gone off without a hitch, but the Bronx proposal has met significant community resistance. Residents nearby two proposed locations have taken to the streets in protest, expressing concerns about potential crime, traffic, stigma and more. “I strongly believe no student should go to school in the shadow of a jail,” wrote City Council Member Vanessa Gibson in an op-ed published in the Gotham Gazette in opposition to the Courthouse site, which lies in her district. Opposition to a jail next door is an instinctual and relatable response. Quite simply, incarceration is ugly and we would rather not think about it. But what does a jail next door really mean? Some of these institutions are nestled out of sight and out of mind in industrial districts like the Queensboro Correctional Facility, a 424-bed medium-security state prison located amid warehouse buildings in rapidly-developing Long Island City, or the Queens Detention Center, a privately operated facility that houses detainees for the US Marshals service near JFK. Others are located in residential communities, like the Edgecombe Residential Treatment Facility, which houses up to 183 individuals on sleepy Edgecombe Avenue in Northern Manhattan. There is certainly a history of placing correctional facilities in communities of color and poor communities. The South Bronx is home to two facilities already: The Horizon Juvenile Center is one of the city’s two secure youth detention facilities and sits just a block from one of the busiest intersections in the South Bronx, while the Vernon C. Bain, the city’s maximum security jail barge, is docked at the end of Halleck Street in the Hunts Point neighborhood. The little-known barge holds 800 inmates and is one of three floating jails that were built when Rikers Island reached maximum capacity in the late 1980s—the other two were retired Staten Island Ferries. They were all supposed to be temporary, but this one remains in operation. Each correctional facility has a different relationship with its neighbors and the community that surrounds it, but by and large, according to interviews and observations by City Limits over the past month, they are quiet (if unsightly) presences. On an afternoon by the Lincoln Correctional Facility, a New York State Prison located between Lenox and 5th Avenues on Central Park North, a stream of men enter the building through a side entrance every 5 minutes or so. They’re easy to miss amid the bustle on this south-Harlem street, but so is the prison itself. A former YMHA building, besides the grate-covered windows it blends in perfectly with the adjacent pre-war buildings overlooking Central Park and the midtown skyline. Just a block north, school has just let out at PS 208 and Harlem Academy. Across the street residents dot the benches along the park and children shout in the playground sprinkler. The men are returning to prison after a day working a job. They are still inmates at this facility and they have to report back every night, but they’re allowed to leave for the day and make money as part of the State’s work release program. Tyler Horrell has lived in the apartment building adjacent to the facility for three years. He says the facility doesn’t cause any problems for him or the neighborhood at all. “You see guys come and go, but I’ve never heard anything negative. Some people have this fear that, oh you bring these criminals into our community, they’re going to do something. But you very seldom even see them,” he says. His sentiment is shared by others on the block. “It’s quiet. We don’t have any trouble,” says Rose Tiangco a resident in another building adjacent to the facility. In fact, it’s clear on this afternoon and others this week that the homeless shelter nearby has a greater effect on the community than the prison. The benches along Central Park are filled with shelter residents who are doing anything they can to avoid the uncomfortable conditions of their current residence. Daniel Murphy, executive director of the Pitkin Avenue Business Improvement District (BID), feels similarly about the impact of the Crossroads Juvenile Center on his neighborhood, Brownsville, in Brooklyn. The Crossroads Center occupies almost a full block just off of busy Pitkin Avenue in the northern part of the neighborhood. It is directly adjacent to Murphy’s BID. He says he’s never heard any concerns from property or business owners in the district and he rarely sees anyone even coming or going. However, Murphy says there’s more to the facility’s relationship with the community than its material impact. Jails are just one element of a matrix of essential city services, and Brownsville needs other ones. City Council Member Alicka Ampry-Samuels echoed Murphy’s point. According to Samuels, the legacy of the Crossroads Center’s construction still hangs over the neighborhood. In the mid 1990s, the community had hoped the city would build a high school at the site where the Crossroads Center currently sits. Instead, it built this youth jail, which was completed in 1998. To this day, Brownsville does not have its own stand-alone high school*. In many ways, the neighborhood’s concerns about the new South Bronx jail are similar to Brownsville’s concerns over 20 years ago. Both neighborhoods have suffered from decades of disinvestment and neglect and neighbors and community leaders feel that the South Bronx should be receiving millions of dollars from the city for affordable housing, schools and jobs, not a jail. Their “fair-share” argument is only bolstered by the fact that, despite having a criminal courthouse—and in the face of the Lippman Commission’s recommendation that every borough have a jail—Staten Island will be relieved of that obligation under the mayor’s current scheme. Arline Parks is a Mott Haven resident and also vice chair and CEO of the Diego Beekman Mutual Housing Association. The organization represents tenants just a few doors down from the tow pound site and has proposed a comprehensive development plan for the Mott Haven—Port Morris neighborhood. Crucially, the plan involves developing the tow pound site for a manufacturing business which would provide jobs to community residents. “This is a neighborhood that needs the kind of economic development that other neighborhoods have had and experienced over the past 22 years,” says Parks. 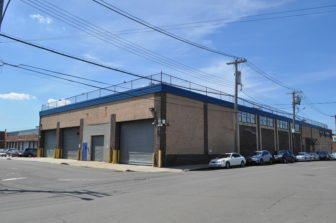 According to Michael Brady, director of the Third Avenue Business Improvement District, next to which the Horizon Juvenile Facility sits, the tow pound site could hold 1.3 million square feet of industrial space and industrial jobs pay well. When the city announced plans to build a new jail at the Mott Haven tow pound site in February, neighbors and the press alike expressed fears that the jail would bring both crime and lower property values. A New York Post headline covering the plan said, “Dangerous Rikers inmates could be heading to your part of town.” A New York Daily News editorial opposing the site for the jail suggested that it’s presence could encourage rival gangsters to stop by for a visit. The stakes are certainly higher for Mott Haven, which has been saddled with crime and drug trafficking for decades. But across the city’s 14 correctional facilities, there is no indication that any is conducive to crime nearby. “I don’t believe we’ve had any escapees, so I don’t think that facility itself is creating crime or having any impact on crime locally,” says Jeremy Laufer, District Manager of Brooklyn Community Board 7, in whose district the Federal Metropolitan Detention Center sits. The facility is massive and can house over 1,800 detainees. A City Limits analysis of 2018 crime data supports this conclusion. While crime throughout the city varies widely, there is no meaningful difference between the frequency of crime immediately surrounding facilities and crime in the greater vicinity. When the Brooklyn House of Detention reopened on Atlantic Avenue in 2012, the New York Times quoted a nearby resident, Lisa Goldfarb,who worried that the jail would bring foot traffic and crime, but most importantly decrease her property value. With her husband, she had just paid $3.4 million for a townhouse down the street. “We took a gamble and lost on this neighborhood,” she said. But since that facility reopened, neither of those concerns appear to have borne out. Property values in the area continues to rise as new development engulfs any vacant space available and jail-related crime is non-existent. The jail’s biggest impact: parking. Correctional officers are not issued official parking placards, and as a result, they routinely create them for themselves and take up parking spaces for hours on Atlantic Avenue. “Anything and anything can function as a permit—an arm patch, a hat, a notebook, a business card, notebook, union card and a towel,” says Howard Kollins, President of the nearby Boerum Hill Association. A different kind of jail? Over a year before the controversy about the siting of the proposed Bronx Jail, the Lippman Commission, chaired by and named for a former NYC Chief Justice, issued a report that laid out a roadmap for closing Rikers Island and imagined a positive future for the New York City corrections system. The commission was made up of leaders, experienced practitioners and stakeholders of the city’s criminal justice system and was formed with the specific intention of creating a plan to close Rikers Island and reform the city’s criminal justice system. The borough-based jail plan was part of the commission’s initial proposal—as was a vision that radically re-imagined the architecture and design of a city jail. Instead of massive jails like Rikers Island, New York City’s criminal justice system would be centered around “Justice Hubs,” which would co-locate jail and courthouses and offer detainees with services such as better access to lawyers and family members, as well as access to rehabilitative treatment. The jails would be designed to maximize natural light and open space and provide access to outdoor space as well. Luca Arrigoni Is the owner of Sottocasa, a restaurant across the street from the Brooklyn House of Detention–one of two city jails the city will expand as part of the plan to close Rikers Island, along with reopening a third and creating a new fourth facility. He talks here about the impact of the jail on his business. Film by Laura Duclos. The vision reimagines the city jail as a positive civic service which would integrate with the streetscape, potentially house commercial space and crucially, reduce the stigma of incarceration. At a town hall meeting organized by Councilmember Stephen Levin this March, residents from near the Brooklyn House of Detention heard members of the Lippman Commission present this vision and then discussed what it would mean for the Brooklyn House. The city’s plan would require an expansion of that facility’s capacity. 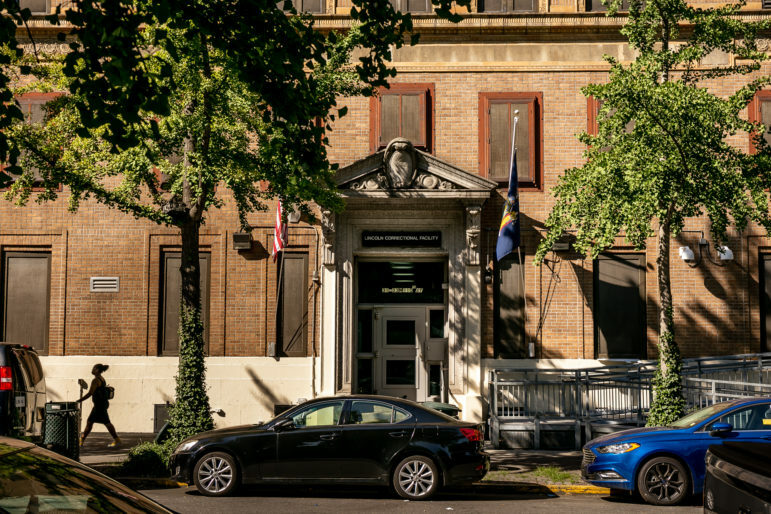 According to Peter Bray, executive director of the Brooklyn Heights Association, who was in attendance at the town hall, many expressed skepticism that the renovation and expansion would occur without the reforms. The vision of reformed city jails is, in theory, the one that the city will pursue as it renovates and expands borough jails and builds the new one in the Bronx. Bronx Council Member Rafael Salamanca, in addition to members Levin and Ampry-Samuels support the concept of redesigned jails. However, it is quite unclear whether these reforms will materialize in complete form—especially at the new Bronx jail, where the city has not been explicit about what a jail would look like or mean for the community. If the city is going to persuade South Bronx resident to accept a new jail as a neighbor, it’s going to have to communicate a vision for the facility as a community asset, according to Salamanca. “If the administration wants to make it a reality, it needs to figure out how to convince the community,” he says. 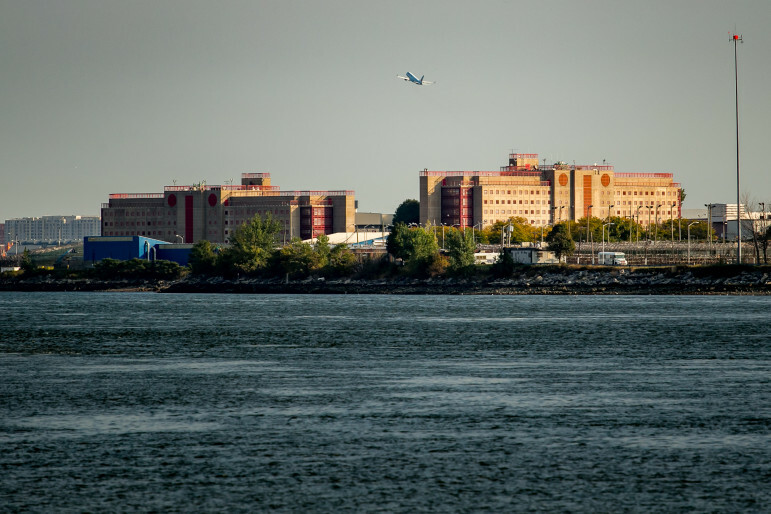 In the wake of media investigations and prosecutors’ reports revealing widespread problems at the city’s main jail facility, a small but influential set of voices began calling to close Rikers Island. With the goal of informing the growing debate, City & State and City Limits presented this series of articles exploring Rikers Island, its problems, the proposals to fix them and the bold case for more sweeping change. * Clarification: The original version of this article said Brownsville lacked a “full-scale” high school. While Brownsville does have high schools, they share buildings with other schools. Rikers is the best location for a jail. It’s on an isolated island with only 1 access road, making escapes extremely difficult. CM Gibson is correct to oppose the jail in her district, which would be near Yankee Stadium. No jail is being proposed for Staten Island because only 305 (3.6%) of current inmates are from S.I., the borough with the lowest crime rate. 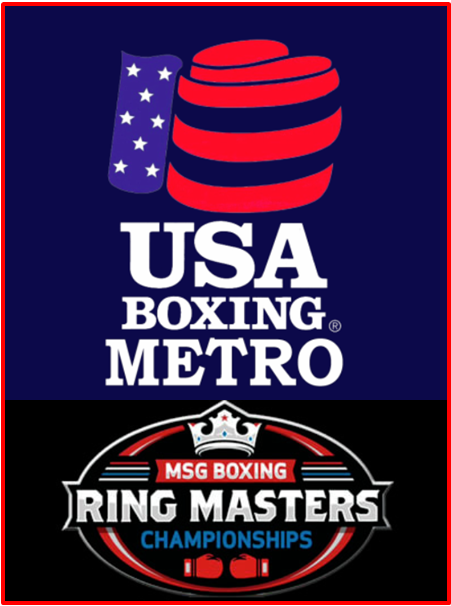 The largest number, 1,661 (20.6%) are from Brooklyn. It doesn’t make sense to build a jail for only 300 people. Even the S.I. courts are a problem, look at that bizarre shootout last week up in St. George. We are expending too much energy on Rikers inmates and their families. They are the worst of the worst. So what if it’s difficult for family to visit them. A jail is not a resort. Clean up the out of control NYCDOC but keep Rikers open. While Rikers Island certainly houses some individuals whoany might consider the “worst of the worst,’ most on the island are not in fact considered this, and thus we should certainly be concerned with these individuals and their families. It is misleading to compare the effects of state and federal correctional facilities on a local community to those of a city detention center. All of the state facilities in New York city are work-release facilities. Individuals must earn the ability to participate in these programs, through good behavior, which means that only those who have proven that they can refrain from bad behavior are selected. 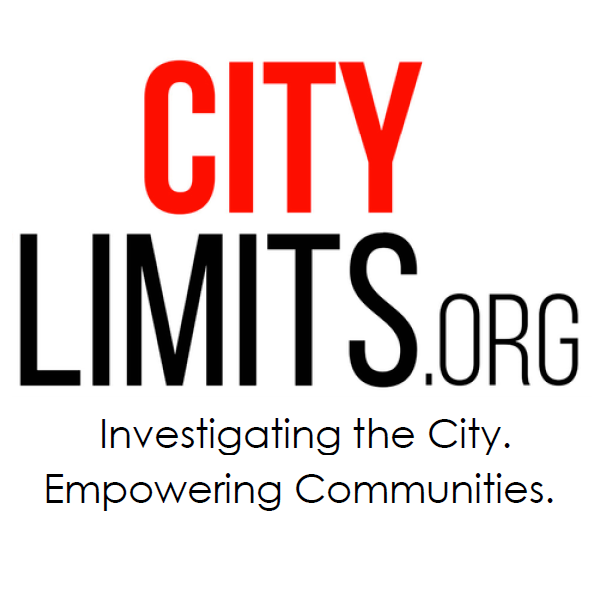 Federal centers do not have the same level of offender traffic as do city jails, and the type of crimes that offenders in federal facilities are charged with are not the type of crimes typically associated with the type of neighborhood annoyances that people generally fear about jails in their Neighborhoods. Further, all of the city jails are located in non-residential areas, and so using the them as a gauge for the effect of jails on local communities is also misleading. While I completely support closing Rikers Island, and the idea that individuals should be less fearful of opening new jails in their Neighborhood, we must have an honest conversation about the issue. If the city desires for this plan to be successful it must acknowledge the difficulties that it will confront, and it must articulate a plan for how it will address them. For example, homeless are often repeatedly arrested. When they are released will they hang around the area of the jail? Will residents see an uptick in the homeless population in these areas? If this does occur how is the city prepared to deal with this? These are legitimate concerns, and residents deserve legitimate answers. I don’t want anymore jails in the Bronx period. I understand that they want to get rid of Rikers Island, which I oppose. I think it’s fine there. However, accommodating new real estate for new jails is economically feasible boroughs that are trying to improve their quality of life like mine. So let’s put jails through out the five boroughs to accommodate rich developers and make million dollar condos in Rikers Island for the afluent and lets sacrifice the poor neighborhoods. Who are trying to improve their quality of life, but who cares. I don’t think so. Bill you need another plan.